Would a washer and a dryer be one on top of the other? Are you planning to optimize stacked washers and dryers? It is usually used when floor space is limited such as in the case of a studio apartment for example. Every little bit of space needs to be optimized for maximum efficiency and this sometimes means stacking things. Sometimes there is no enough space under the counter. Stacking them in a corner by the kitchen counter would be, in this case, a very acceptable and practical solution. It’s possible that they can’t be hidden behind closed doors or curtains. And you can find the perfect spot for such a large feature. Room corners are a great option. You also can let them occupy a space inside a large wall unit. 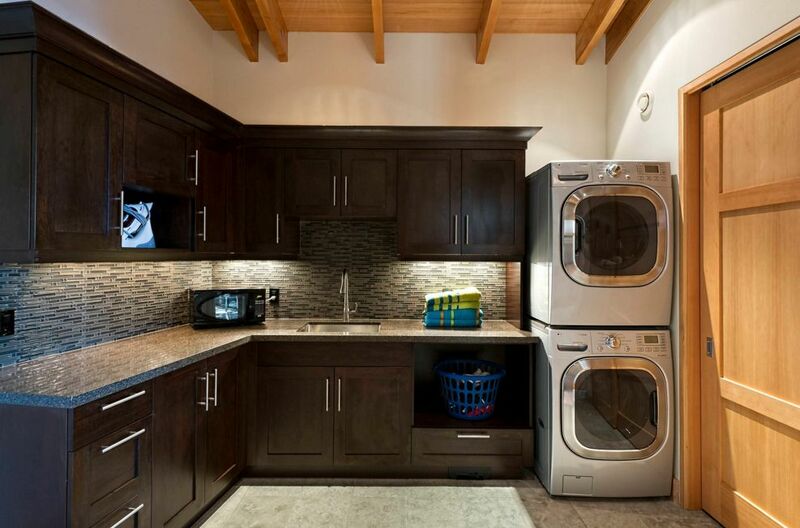 The washer and the dryer can be hidden behind a set of doors without any problems. It is very practical for concealing our stacked washer and dryer combo behind pocket doors. You can do this way when you want to save space! Curtains can also be used. 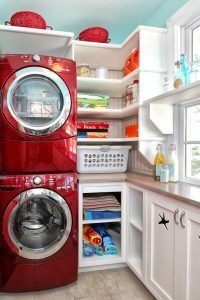 This strategy works if you would like to place the washer and dryer in the bathroom. Of course, it isn’t the only acceptable placement and you can adapt the concept to your own needs and means. 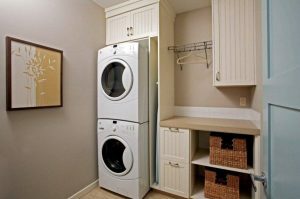 If you want to put your stacked washer and dryer on display you must pay attention to the way they’d look in the context of the room. They must also look nice! Take all these details into consideration before you buy the washer and dryer. Don’t forget about the height at which both the washer and the dryer are placed. It should be comfortable to load and unload them without using a stool or bending down at an uncomfortable angle. If the washer and the dryer should be stacked in a corner of the room, think of the way they open. You should open them in the same direction, preferably against the wall so you have more room to move around while using them. And if you have problems with repair, don’t bother! Harbor Appliance Repair is always ready to help!